Another year has passed and as many people prepare for a new year I am looking into the past and looking back at my blog highlights of this past year. It has been a big year for my blog this year. I have a new record for most views in a day (201 views), I reached a major milestone as I reached an overall viewing figure of 25,000 views and One of my posts reached a major milestone as it became the first post I have done to reach 1000 views. In terms of my blogs I have also written both my 150th and 200th posts. It has been a Great Blogging Year and I would like to thank everyone who comes here to read my posts and continue to support my blog, Thank You. 5: Virgin vs FirstGroup – I wrote this one back in September during the whole fiasco between Virgin Trains and FirstGroup. I enjoyed writing this one a lot because it is about trains which is something I like and use quite a lot but also because I wanted to point out what the real issue was about this whole issue, The Trains. A train Company is not a train company without trains and so I did some analysis work and suggested some ideas for FirstGroup about what trains they could/should use. I don’t know if anyone at FirstGroup or Virgin read the post but I enjoyed writing it anyway. 4: Space Impression From Space – Don’t be confused by the title, this was a Film review I did for a Godzilla FIlm. This post was for the film Godzilla VS SpaceGodzilla in which Godzilla fights a space mutation of himself. Even though the idea was a bit silly and parts of the film were a bit silly too, it was a very enjoyable film and writing the post was enjoyable too. while this was not the only Godzilla film I reviewed this year, this is the one I enjoyed doing the most. 3: My Top 10 Favourite (NON-GODZILLA) Films – Yes, Because I am a massive Godzilla fan I need to Top 10 lists for films. My Actual Top 10 Favourite Films and My top 10 Favourite Non-Godzilla Films (For everything else). Making this list was a lot of fun as I had a look through all my favourite films to get 10 films (if you want to know where they may appear after my actual top 10 list, add roughly 20-29 to the number they are). While I will recommend films that are not on the list that is because it was quite hard coming up with 10 films overall. So after a lot of hard work I managed it and there are 10 films that are all Fantastic, I Guarantee it. 2: A Nice Film That Will Be Hard To Beat – In March I saw one of the most Amazing films in the history of Cinema. After a stressful couple of months I was able to wind back by watching a film at the cinema that I both had not seen coming or had any idea what it was about, that film was The Hunger Games. After seeing this I went to the University Library and wrote up the review for the film in just over an hour. The following day I posted it online as well as went into town and bought the book (and then the other two 5 days later). Because of both How much I enjoyed the film and writing the review I didn’t want this to be a standard review. So this became the first film to use the current format for film reviews that I do (Paragraphs with pictures and a trailer). I like this new format so much that I actually want to re-review some films I have previously done. This was also the first time that I did my links in Bold Black Italic Writing so it blends more into the text. Both a Fantastic Film and an Enjoyable post to write. 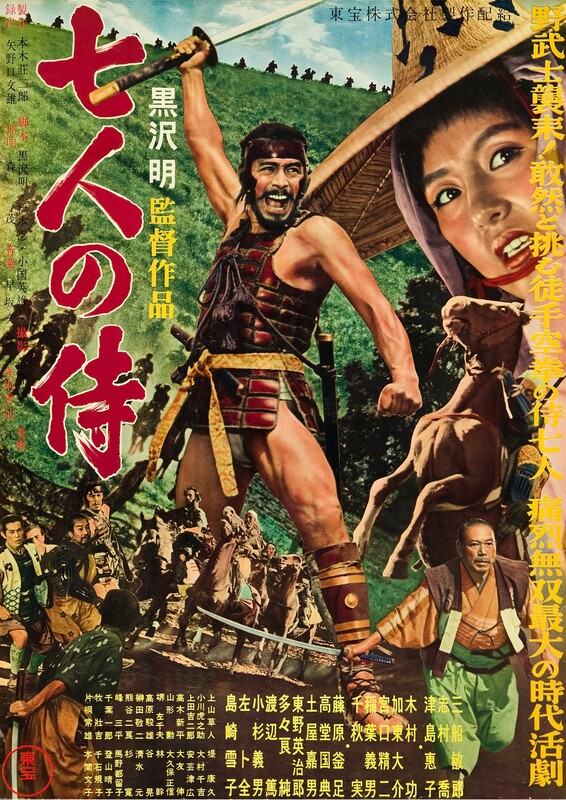 1: Akira Kurosawa’s Masterpiece – The Hunger Games was not the only Fantastic Film tha I saw this year. In May I saw one of the greatest masterpieces in cinema history and as a result of that it introduced me to one of the Greatest Directors in the history of Cinema. The director was Akira Kurosawa and the film was Seven Samurai. Since then I have been buying and watching many more of his great films but to me this is his masterpiece and one of the best films I have seen to date. The post was incredibly enjoyable to write and I both hope that people enjoyed reading it and have since gone on to buy and watch the film. An Incredible, Enjoyable Experience and that is a reason more than any to why this is my Favourite Post this year. 5: Pathfinding – For the second year in a row my former tutor is in this list. Here he shows us how to make a little AI piece with pathfinding. It kind of reminds me of something he was going to do in our class where everyone was going to be represented by blobs and then would fight each other (Yes Ant, I have not forgotten). 4: Battle of the Battle-Proof Thingies – An interesting post from Matt while answering a question from Tim. I wonder if he read my last comment? 3: “Godzilla vs. Biollante” Coming December 4 – One of many posts announcing the arrival of Godzilla vs Biollante on Blu-ray. This announcement was massive news. 2: Nagoya Castle To Be Destroyed Again? – A very interesting post talking about the history of one of Japan’s most amazing buildings as well as recent ideas to knock it down and rebuild it as it should be. 5: Ant’s Blog – Ant’s blog this year has still been very interesting with many little pieces of flash work to try for yourself, unfortunately I do not have flash so I cannot participate. 4: Tim’s Blog – A blog from a friend of my friend Matt. I first found out about this blog as part of the FIrst 12 of 2012 challenge (Where I came second). Some very interesting posts all year round. Thanks Tim. 3: The Jimquisition – More like a video series on the Escapist. I discovered this a few months ago and have enjoyed it quite a lot. I sometimes look it up just listen to the Fantastic Opening Theme. 2: Matt’s Blog – Matt has produced more and more fantastic Posts this year with subjects including his new Animation series Papercuts as well as points of general Interest. Keep up the Excellent work Matt (We need to do another blogging challenge soon) – Second Place two years in a row. 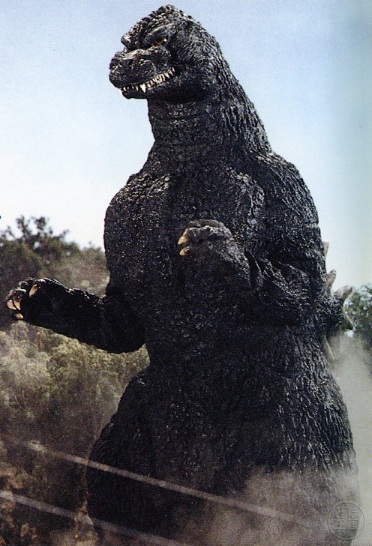 1: Godzilla 2012 – Once again this blog takes the top spot. An interesting blog and my usual first source on Godzilla news. Congratulations (Best Blog Overall this year). Well that was my blogging year for 2012. I hope you have all enjoyed visiting, viewing, watching and reading my blog as much as I have enjoyed writing, producing and publishing it. I hope you all have a had a Great Year and have a Fantastic New Year and I hope that you will come back soon for more High quality blog posts. Thankyou. A couple of months ago I decide to challenge myself to a little blog challenge. That challenge was to do a blog post every day in June. June is a special time of year for me, it was the Month I was born in, but not only that many interesting things are happening in June this year, there is E3 (which happens every year) which is the biggest event on the Gaming Calendar and Black Sabbath reunite on Stage for the first time in 6/7 years. Last Year on my Blog we had a very special month of Monster film reviews (one of which is the most viewed post in the history of my blog) and so I would keep it a special blog month to me with this post a day challenge. There are many things to look out for this month, we have the King of the Monsters Tournament which is the Main Event of the year for a Monster Combat thing I have just started. there is my 200th Post, several small posts on interesting things (possibly interesting), Top 5 Ronnie Barker Sketches, Top 5 Black Sabbath Songs, Answering Questions given to me by friends from camp and a friend of a friend (if they get their questions to me in time), an unforseen Paradox in an episode of Doctor Who and a post on how to build a Tardis. Don’t forget this month’s film review or should I say reviews. Last year there was 5 reviews, this year there is only 4. That may look not as good but don’t dismiss it immediately, the films being reviewed are Atragon, Mothra vs Godzilla and Seven Samurai (yes, Seven Samurai). That is only three films, the fourth one is up to you. I have chosen 3 Godzilla film’s, the one with the most votes gets reviewed. They are; Invasion of the Astro-Monster – one of three Godzilla films I have not seen, Godzilla vs SpaceGodzilla – a bizarre film where Godzilla fights a space version of himself and Godzilla Against MechaGodzilla – One my top favourites from the series. A wide, diverse selection of Godzilla films, one from each film series (Shōwa, Heisei, Millenium). You have until the 10th of June to vote (I have also made the poll to hide the results from you, so you may not know until the review itself to see if your choice won). So come back every day in June for a New Blog Post everyday and don’t forget to leave your comments and feedback on the subjects talked about (please rate as well, because I like it when people do, The green stars at the bottom of the posts). It is going to be an interesting month.